An aromatic addition to your therapy space. 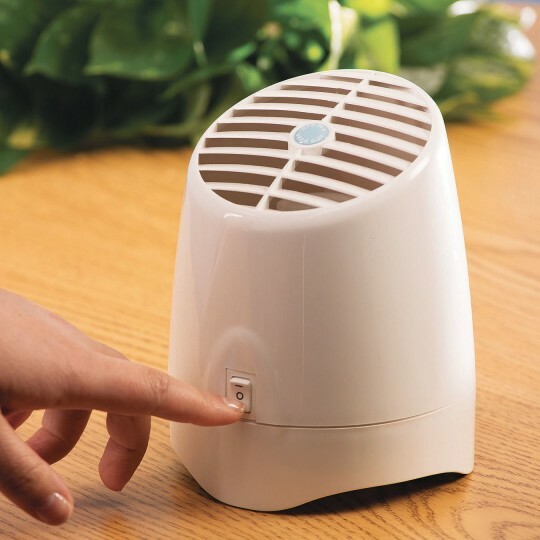 Essential oils are diffused with a whisper-quiet fan. Simply drop oils onto aroma pad and turn it on. Relieve tension or energize and promote vigor. Sit back and enjoy the therapeutic power of nature! In your therapy space, the Aromatherapy Pro diffuses pleasant aromas produced by blends of essential oils. Place a drop of an essential oil on the aroma pad, select either high or low power setting and enjoy the therapeutic power of nature. Pro Diffuser is complete with super quiet whisper fan, two 1/6-oz. bottles of essential oil blends (Relaxation and Vitality) and 1 aroma pad. Powered by 110-115 volts AC. 7"H x 5"D.
As an Activity Director we use it for sensory as well as to freshen the air. Have had this item for years and it is a workhorse! I have seen many others but nothing else on the market compares to the quality of this diffuser. Well worth every penny.